Fairborn Art Association | The Fairborn Art Association is a nonprofit association located in Fairborn, Ohio designed to promote the development of art in various forms, sponsor art classes, workshops and classes, and provide community service. Fostering community support for the arts in Fairborn, Ohio. Just like that, April is upon us. I hope you are putting the finishing touches on your art work for our Member Show in May! The prospectus for the show is on our website, so you will be able to just click the link elsewhere in our newsletter. Our show chairs Connie Gifford and Maggie Vance have everything in place to get the show up and ready to open on Sunday, May 5. Awards will be presented at our meeting on Tuesday, May 7. All members should be receiving a Member Information Sheet by snail mail any time now. It includes a reminder to pay your dues (payable by June 1, 2019). You may mail them in, pay them when you bring your artwork for the show, or pay them at the May meeting. Please include the Information Sheet with your dues–it lets us verify your current information (very important!) and gives you the opportunity to let us know your interests. Your interests are important as we are deciding on speakers for our meetings and for contacting potential volunteers for our various events. If you did not receive your letter it probably is because we do not have correct information for you, so be sure to pick one up from the desk when you come to the Gallery, or contact Lori Luckner to update your information and receive one in the mail. We will be taking nominations for our Officers (President, Vice President, Recording Secretary, Corresponding Secretary, and Treasurer) in April, and will vote in May. If being a leader at Fairborn Art has ever interested you, please let me know and I will forward your name to our Nominating Committee. I’m sure some of our longtime officers would love to be training new people to take over their positions. 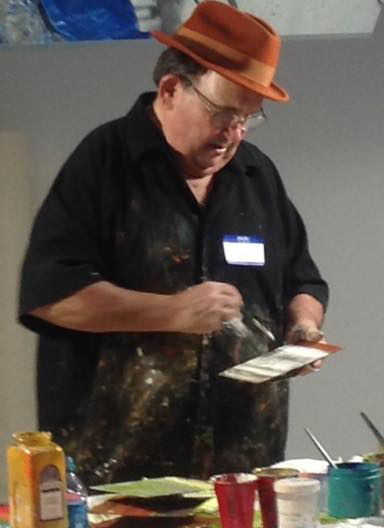 Our April speaker is Mike Elsass, a very popular local artist who will talk about “Brush Before Brain.” He paints abstract paintings in acrylic, and is a very entertaining speaker. Meeting is Tuesday, May 7 at 7 pm. Board meets at 6 pm. 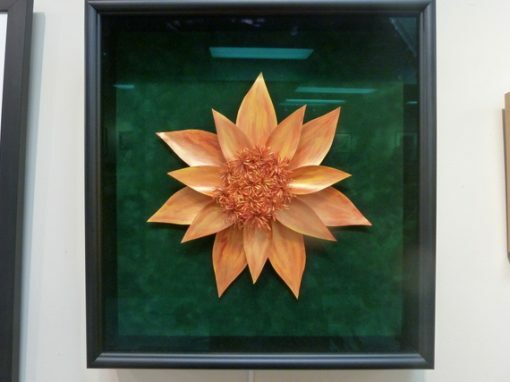 At the April FAA meeting, members will enjoy an artistic demonstration by Dayton artist, Mike Elsass. Instead of canvas or paper, Elsass’ medium is weathered steel. About 19 years ago he left the business world, intent on becoming a writer, and took a detour into art after being inspired by Dayton Artist Roger Sayre. It is exciting to enter the old warehouse building into Elsass’ vast workroom and observe the old steel, the rusted, bent, tangled old metal, sitting around the room. But then your attention turns to the brilliant color on the walls and work tables, yes, an artistic renaissance, of old junk, and be visually thrilled and in awe at the artistic pieces he created. But Elsass isn’t just an artist, he’s also a force to improve the greater Dayton community. He works with nonprofit groups using his art as a therapy medium, and he supports missions efforts throughout the greater Dayton community. Members will not only enjoy his work but his outgoing and entertaining personality and presentation. FAA Spring Show paintings will be accepted on Tuesday, April 30, from noon to 5 pm. The show opens on Sunday, May 5, 2019. Prizes awarded on Tuesday, May 7 at the FAA meeting. Please bring your art ready to hang, and we do not accept saw tooth hangers or ring hangers. The prospectus has all the information needed to prepare your art for the show. A prospectus for this show is available in our Gallery and is attached. If you signed up to sit with the FAA gallery, please bring light snacks. We will assign one person in your group to have access to the gallery so you can get in and lock up when you leave. 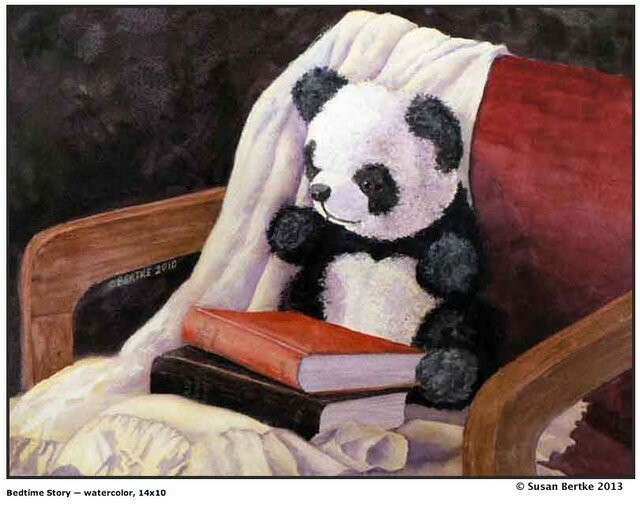 Please check with us when you register your art to make sure who will have gallery access. Light snacks could be cookies or cheese & crackers, or chips & salsa, and a punch or lemonade or something similar. Feel free to bring your artwork to work on while you are there. Please invite your friends and family to come see the show, and hopefully find a piece of art they would like to hang in their home or office. Remember to share this information with your friends on Social Media such as Facebook. If you have questions or if you need to deliver or pick up your work at a different time, please contact Connie Gifford at gifford.connie@gmail.com or (937) 270-7359 or Maggie Vance at mbv831@hotmail.com or (937) 527-8919. Looking forward to seeing all your beautiful art work! There are still a few openings for the Soon Y. Warren Workshop and we’d love to see you. 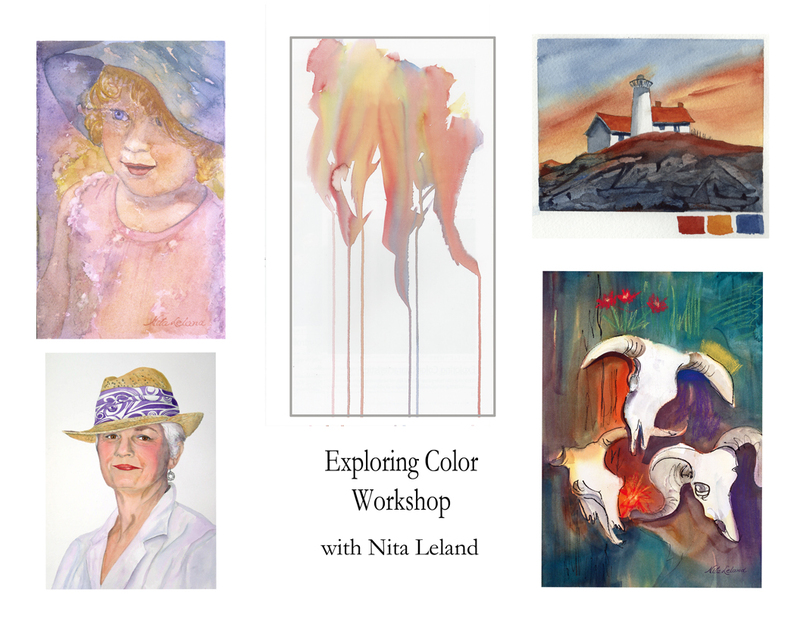 She’s an amazing artist and teacher and I’m sure you will love taking her wonderful workshop. It’s May 6-9 at Fairborn Art Association’s studio from 10 am-4 pm. The fee for Members is $250 and for nonmembers is $285. Contact Pat Dunker at pwdunk@gmail.com or 937-271-4798. The Fairborn Art Association will present the Soon Y. Warren Workshop May 6-9, 2019, 9:30-4:00 pm, located in their Gallery in the rear of the Fairborn Senior Apartment Building, 221 N Central Ave. Fairborn, Oh 45434. (Please note the change in dates from May 6-10 to May 6-9. This is a 4-day workshop.) Soon Y. Warren is a full time artist and teacher. She has an Associate degree in commercial art from Thomas Nelson Community College in Hampton, Virginia. Soon Y. has had numerous exhibitions, earned numerous awards, and has published two books. 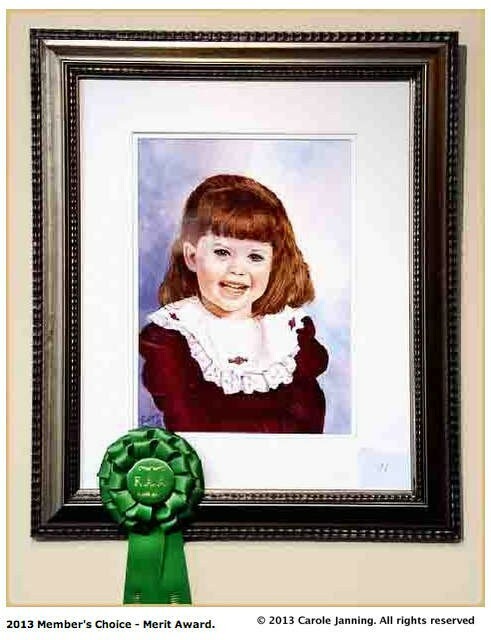 She is a signature member of National Watercolor Society (NWS); American Watercolor Society (AWS); Transparent Watercolor Society of America (TWSA); Southern Watercolor Artist (SW/LM); Texas Watercolor Society, Purple Sage Brush (TWS); Honor Society of Watercolor USA; Rocky Mountain Watermedia; Society of Watercolor Artist (SWA). A registration form is available in our Gallery or on our website at www.fairbornart.org. To register, please send a non refundable deposit of $40 along with the registration form to Pat Dunker, 30 Innisbrook Close, Xenia, Ohio 45385. Make checks payable to Fairborn Art Association. Final payment must be made by 4/29/19. For questions, call Pat Dunker at (937-562-3014) or cell (937-271-4798); or email pwdunk@gmail.com. Cancellations after 4/22/19 will forfeit entire payment. The Fairborn Art Association was established years ago to join a community of artists together to enjoy many art forms. What is the essence of art? Almost every form of art has COLOR! The original logo for our association is a paintbrush with a splash but it is in black and white. I think that we should update the logo to make it colorful and reflect the association today. The Board has been trying very hard to make our association appear more modern. We would like to hold a contest to design a new colorful logo. Everyone is encouraged to create a new logo. We can display the designs during the People’s Choice Show. We can all vote to choose the logo we like the best. So, I challenge you all the get busy with color and create logos! 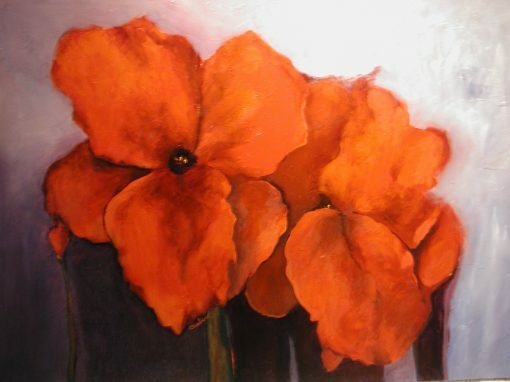 Rose Schultz, an FAA member, is showing her artwork in the Centerville Art Gallery during the month of April. Rose works in watercolor, pastels, and mixed media using rice paper collage. About twenty pieces representing her work in these media will be on display. The Art Gallery is located in the lobby of the Centerville Police Headquarters at 155 W Spring Valley Road. The Gallery is staffed 24-hours per day and artwork may be viewed free of charge at any time. Rose invites all FAA members to see the show in April. 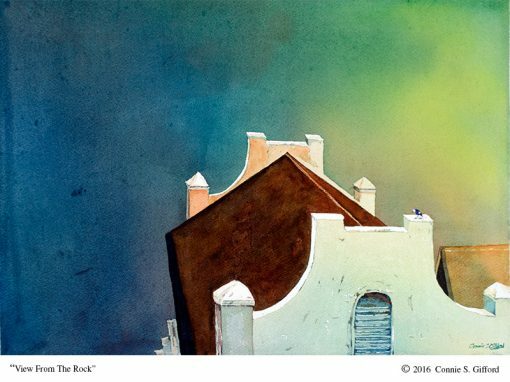 Yuki Hall’s painting “Charleston Rain” was accepted into the 2019 Transparent Watercolor Society of America National Exhibition. This is her 3rd time being accepted by TWSA. She will be traveling to Kenosha, WI this summer to receive her signature membership to the organization. Congratulations to Yuki. 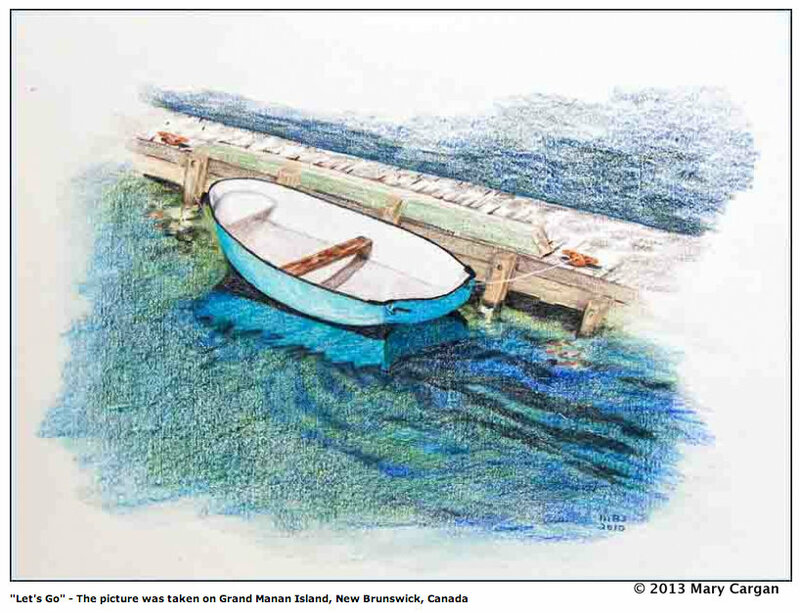 Yuki Hall will be teaching outdoor sketching workshops “Fun with outdoor sketching” from May 21–May 23, 2019 (Session 1) and June 11–June 13, 2019 (Session 2). These are two independent sessions and students can register for either one or both. 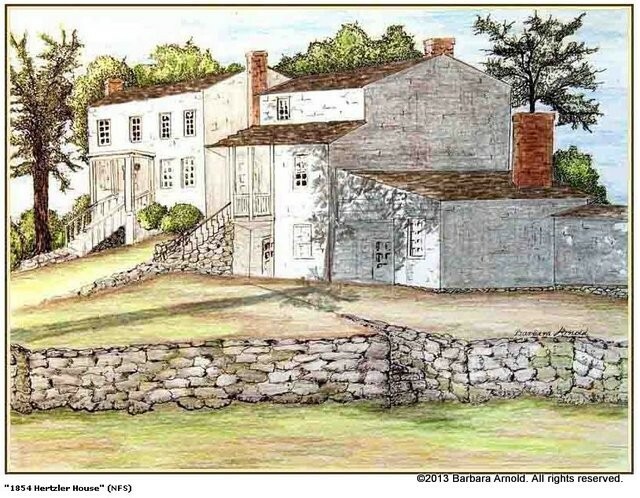 We will be sketching at Cox Arboretum, Carriage Hill Farm as well as The Greene. In this workshop, students will learn about the variety of sketching supplies available, how to select and simplify a complex subject by extracting the most important feature of the subject while leaving unnecessary details out. You will also learn how to steer away from illustrative ‘coloring-in’ sketching style, but to paint in painterly fashion and add finesse to your sketching. We will be sketching mainly with watercolor, with additional use of both permanent and water-soluble pens. All levels are welcome. The cost for this workshop is $140 (the cost includes two types of pens). For more information or/and to register contact Yuki at (937) 679-2464, yukihallfineart@gmail.com. 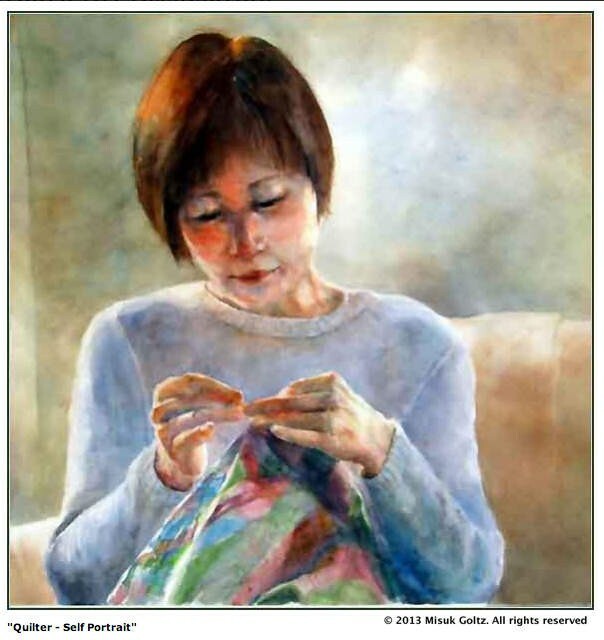 Yuki will also offer a 3-day indoor workshop, “Watercolor – Painting Loosely” at the Fairborn Art Association Gallery from June 24 to June 26, 2019. In this workshop, students will learn how to break away from coloring-in painting style and start painting watercolor with confident brush strokes and expressive edge qualities for more spontaneous and impressionistic appearance. In addition, effective use of eloquent calligraphy will be discussed. This workshop is designed to help students gain insight in discovering the true quality of watercolor so that he/she can create paintings with maximum visual and emotional impact. The cost for this workshop is $140. For more information or/and to register, contact Yuki at (937) 679-2464, yukihallfineart@gmail.com. 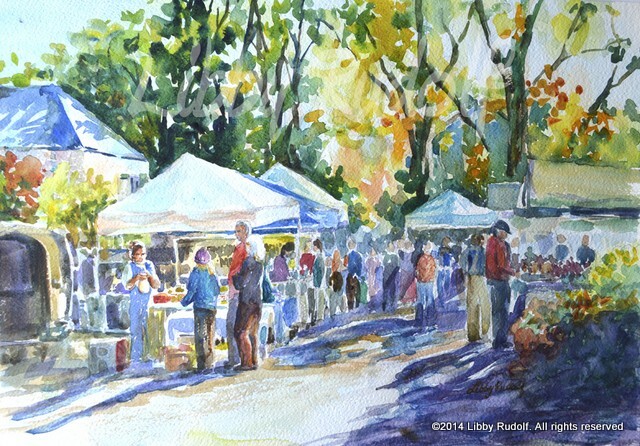 Yellow Springs Village Artisans has released a call for artists for the next Village Artisans Open Community Show. Applications and artwork are due by May 11 or 12, 2019. A prospectus/registration form is available on our website www.fairbornart.org. The Landscapes 2019 juried art competition is underway. The juried competition’s Opening Reception will be held on Sunday, July 14, from 2 to 4 pm; with prizes awarded at 3 pm. Please note this is a corrected date from previous notices. The gallery will also be open on July 21 and 28 from 2 to 4 pm for the community to enjoy. Each year since 2010, B-W Greenway Community Land Trust and the Fairborn Art Association have sponsored the art competition to heighten the community’s awareness of local greenspaces and the need to preserve them. The Landscapes 2019 location is the Garland Wetland Reserve, a City of Fairborn Park located at 1271 Commerce Center Blvd., Fairborn; at the intersection of Commerce Center Blvd and Garland Avenue. The juried competition is open to all artists 16 years and older, living within 200 miles of Fairborn, OH. Work may be oil, acrylic, pastel, watercolor, print, drawing, mixed media, photography, or 3D hanging art less than 10 lbs. in weight. Size many not exceed 30 x 40 inches. A non-refundable entry fee of $20 for a total of 3 works must accompany the entry form. 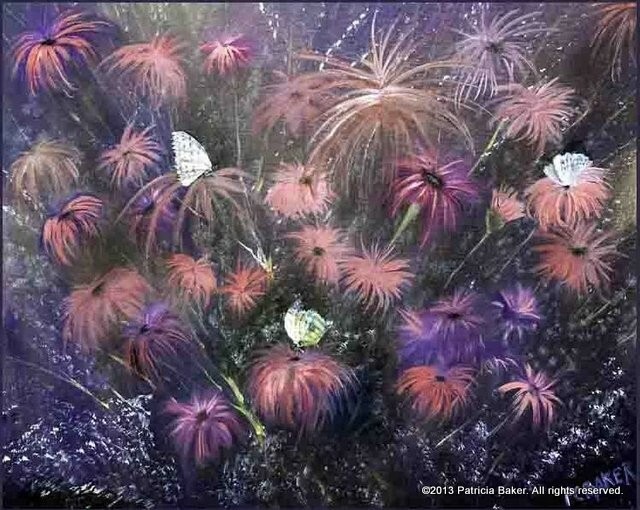 All entries will be received at the Fairborn Art Association Gallery, 221 North Central Avenue, Fairborn, OH (in the rear of the building) on Saturday, June 29, 2019, during the hours of 1-4 pm. For additional information, please contact Pat Higgins at pmhiggins32@gmail.com. The following people signed up to bring refreshments to our April meeting: Lucille Burns, Carol Edsell, Cheryl Miracle, Terri Caprio, Carol Collett, Barb Olekas, Linda Woods, Lois Kuck, Mike Snyder, Sue Seitz, Stephanie Hauser, April Coppess, and Jada Keplinger . We usually have 50-60 members in attendance, so please plan accordingly. Our next meeting will be Tuesday, May 7, 2019, at 7:00 pm. The deadline for submitting articles to be included in the May Newsletter is Monday, April 22, 2019. Please email your articles to Albright10@msn.com or call Jackie Albright at 937-233-7532. March is a very busy month as we emerge from the throes of winter! So many opportunities to be inspired and create art! 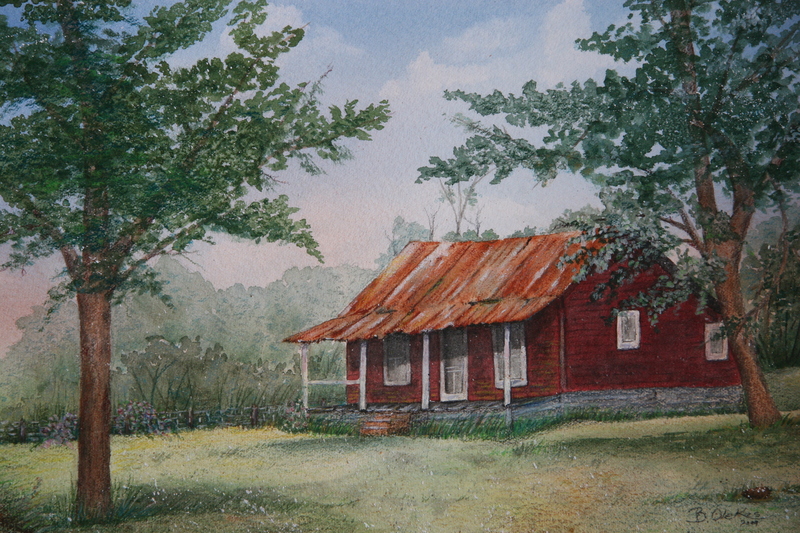 The Greene County Senior Show is in the Gallery March 3 through March 20. 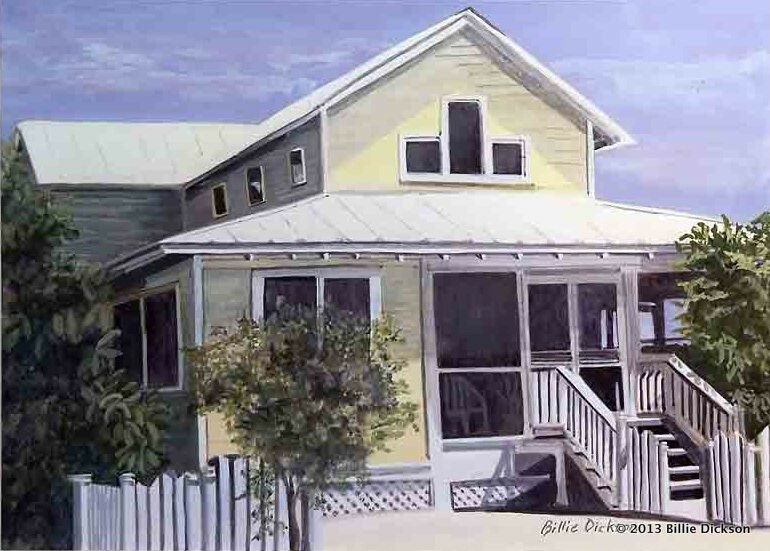 Bruce Neville will present Watercolor Underpainting at our March 5 meeting. See you then! We will follow recommendations of the media weather reports. When they say travel would be dangerous, we will cancel our scheduled meeting. The Board will communicate with each other by phone and you will be notified by email as soon as a decision is reached. Be sure to check your email before starting out if the weather is bad. If you do not have email access, please call one of the Board members or a member you know who has email access. In the event we must cancel a meeting, the meeting will be held the following Tuesday at 7 pm. He also won The Sarah and John Lechletter Best of Show Award for “Victorian Shadows” watercolor at the 117th Annual Exhibit at the Richmond Art Museum, Richmond, IN. A registration form is available in our Gallery or on our website at www.fairbornart.org. To register, please send a non refundable deposit of $40 along with the registration form to Pat Dunker, 30 Innisbrook Close, Xenia, Ohio 45385. Make checks payable to Fairborn Art Association. Final payment must be made by 4/29/19. For questions, call Pat Dunker at (937-562-3014) or cell (937-271-4798); or email pwdunk@gmail.com. Cancellations after 4/22/19 will forfeit entire payment. This is a 4-day class. The total cost is $250 for a FAA member; $285 for a non-member. 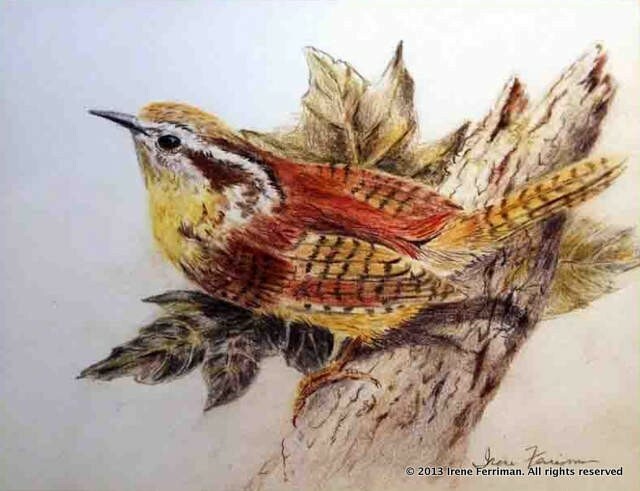 The Gallery at Lofino Plaza will be featuring two members of the FAA during the month of March. Clarice Moore and Evvie Moore will be exhibiting their work in a duo exhibit. Please plan to stop by the Gallery and see these talented members. The Gallery is located inside the Lofino Plaza at 3868 Dayton Xenia Rd., Beavercreek Ohio.. Hours are Mon.-Thursday 9-7, Friday 9-4 and Sat. 9-12. Yuki Hall & Diana Marra will be conducting a magical painting and touring adventure in Tuscany, Italy from September 27 to October 4, 2019. Tucked away in a corner of Tuscany, Trequanda is in the southeast of Siena. Here you will see undulating terrain covered in vineyards, olive groves and wheat fields – unimaginable landscape you will never want to leave. We will be staying in a beautiful 16th-century renovated family-owned farmhouse with its history and winery which produces excellent Tuscan wines. The farm house is perched 1,300 feet above sea level and has a spectacular view. There, in the Tuscan countryside and historic architecture, we will be painting and sketching in watercolor as well as learning Chinese brush painting. You will also be enjoying authentic Tuscan cuisine prepared with care and excellent fresh ingredients, accompanied by local wine. After a day of painting, you can swim and relax in a swimming pool with breathtaking views. The farmhouse is also surrounded by walking trails and a tennis court. We will also tour the vineyards and winery with an expert vintner and then sit down to wine tasting with a delicious three–course lunch. Our week in Tuscany will include fantastic excursions to Florence, Siena, San Gimignano and Montalcino, all by private transportations. 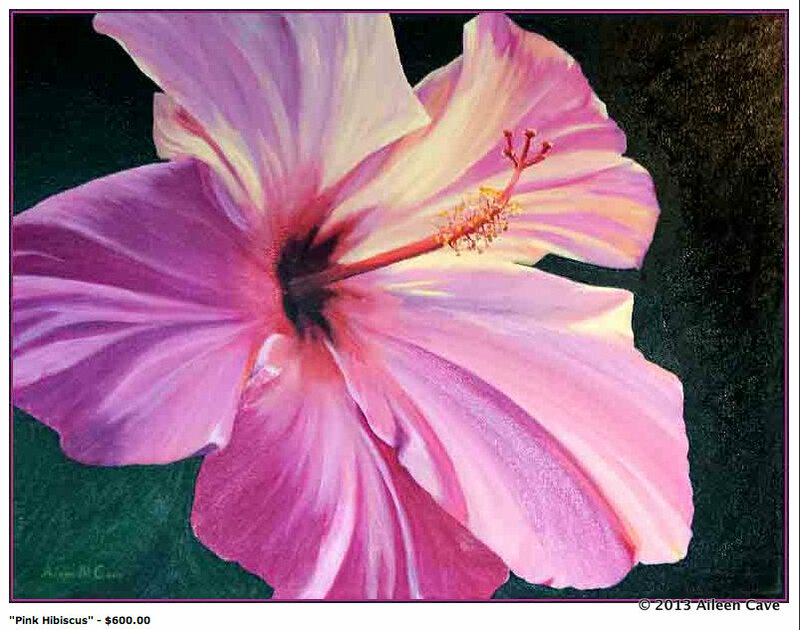 For more information and/or questions, please contact Yuki Hall at (937) 679-2464, yukihallfineart@gmail.com. A brochure and enrollment form are available on our website www.fairbornart.org. The Logan County Art League is sponsoring the12th annual Art on the Beach held at Oldfield Beach at Indian Lake, Lakeview, Ohio on June 22 and 23,, 2019. We are searching for art vendors and fine craftsmen. There will be fine art exhibits, beautiful crafts from experienced craftspeople, live entertainment, and food vendors of all types If you have any questions, please contact Andrea Earick, earicka@gmail.com or 937-602-3032. The Art on the Beach application form will be available on our website at www.fairbornart.org . 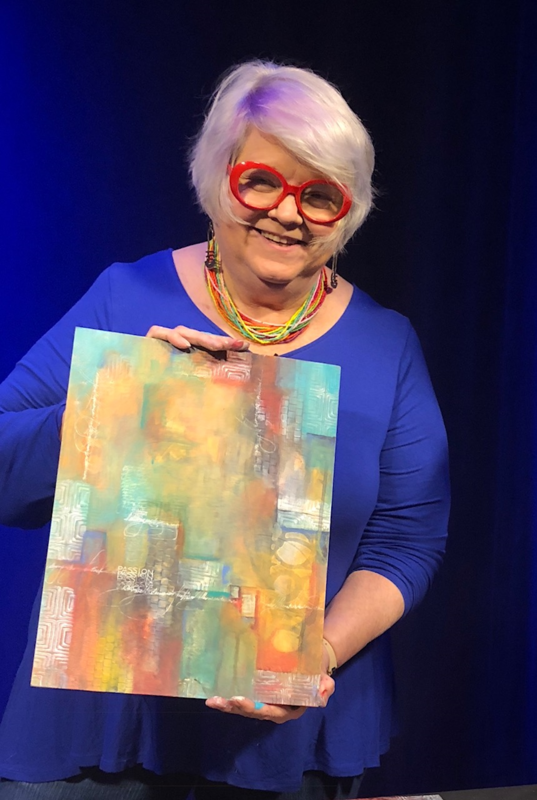 Jacqueline Sullivan will be teaching Painting the Colors, Textures & Horizons of Italy, September 25 – October 1 2019! Join Jacqueline for a week of painting, touring, and engaging with the cultural, culinary, and visual richness of the Marche region of Italy (east of Tuscany on the central Adriatic Coast). Italiana Tours is organizing the trip – see their website for complete information, registration and details on their artist’s companion package. Contact Piero Pagliardini (who will be the workshop’s host and guide) for more information italianatours@gmail.com Read more about this beautiful region of Italy HERE. Early Bird Registration Discount when you register before April 15, 2019! The following people signed up to bring refreshments to our March meeting: Nyeon Woo, Linda Perry, Evvie Moore, Yuki Hall, Sherry Li Cai, Linda Woods, Barb Arnold, Susie Scott, Susan Bertke, Linda Keller, Connie Weber, and Jada Keplinger. We usually have 50-60 members in attendance, so please plan accordingly. Our next meeting will be Tuesday, April 2, 2019, at 7:00 pm. The deadline for submitting articles to be included in the April Newsletter is Monday, March 18, 2019. Please email your articles to Albright10@msn.com or call Jackie Albright at 937-233-7532. It is a good time to remind everyone that if Fairborn schools are closed due to bad weather, Fairborn Art Association meetings are cancelled that day. Jackie tries to send an e-mail blast, so be sure to keep checking as weather sometimes changes during the day. There are some changes coming updating our Gallery, and we hope you enjoy them. When all is finished our Gallery should have a fresh and convenient new look for us to enjoy. Our February 5 meeting speaker is Ron Rollins who will talk and demo “Acrylic in Action.” His work is very dynamic and the demo should be exciting to watch. Meeting is at 7 pm. Now is the time to sign up for the Soon Y Warren workshop from May 6–10. Forms are on our website or in the Gallery. Don’t be left out, sign up now! Think about gifting your Valentine with your own arts and crafts this year – make it a real gift from the heart. 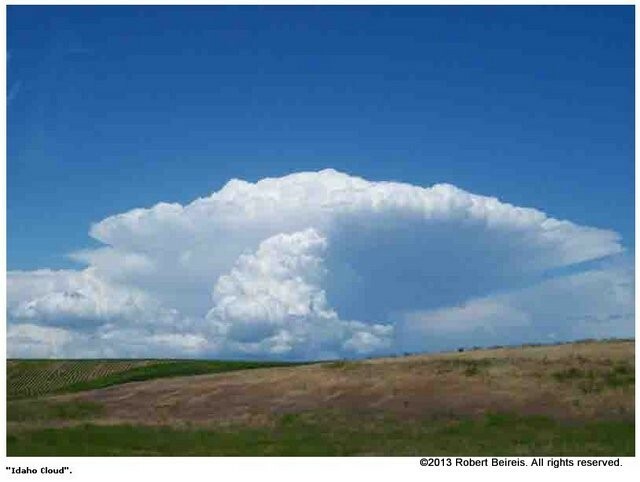 Our next FAA speaker, Mr. Ron Rollins, will demonstrate his colorful, spontaneous art at the February 5, 2019, meeting. Rollins is a local artist and is the “Dayton Daily News” “Ideas & Voices” editor. He is a writer, editor, poet, and artist who lives in Kettering, is married to Amy, and has two grown children and two grandchildren. 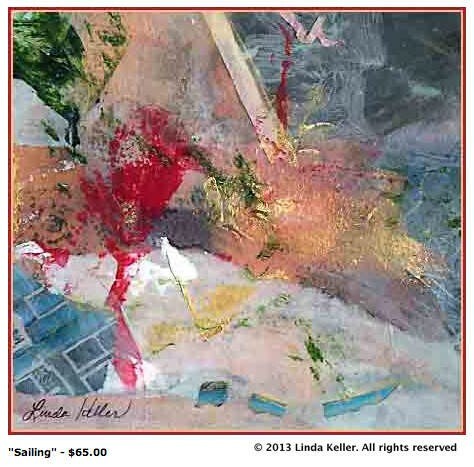 His web site, http://www.rollinsart.org/ , has a colorful display of his abstract art. 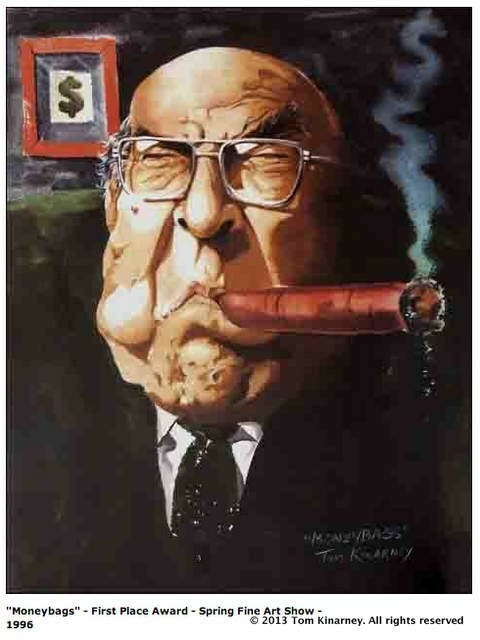 Some of his past shows are The Dayton Circus Sideshow; The Miamisburg Summer Arts Series Gallery; the Centerville Police Station Gallery; Visceral Gallery in Middletown; the Firelands Association for the Visual Arts in Oberlin, Ohio; the Kettering Christ Church Little Gallery; Antioch University Midwest; and members shows of the Dayton Visual Arts Center. The Fairborn Art Association will present the Soon Y. Warren Workshop May 6-10, 2019, 9:30-4:00 pm, located in their Gallery in the rear of the Fairborn Senior Apartment Building, 221 N Central Ave. Fairborn, Oh 45434. Soon Y. Warren is a full time artist and teacher. She has an Associate degree in commercial art from Thomas Nelson Community College in Hampton, Virginia. Soon Y. has had numerous exhibitions, earned numerous awards, and has published two books. 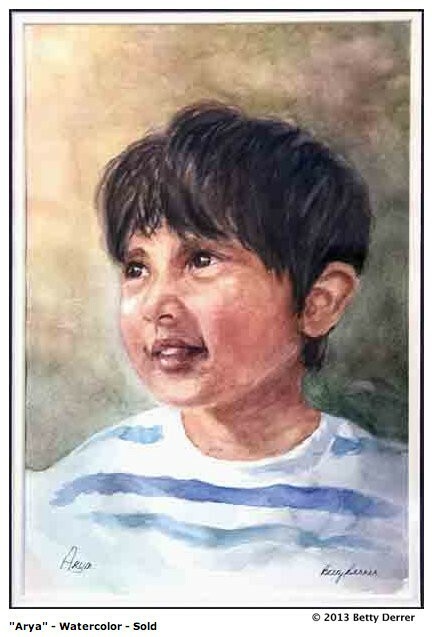 She is a signature member of National Watercolor Society (NWS); American Watercolor Society (AWS); Transparent Watercolor Society of America (TWSA); Southern Watercolor Artist (SW/LM); Texas Watercolor Society, Purple Sage Brush (TWS); Honor Society of Watercolor USA; Rocky Mountain Watermedia; Society of Watercolor Artist (SWA). Yuki Hall & Diana Marra will be conducting a magical painting and touring adventure in Tuscany, Italy from September 27 to October 4, 2019. Tucked away in a corner of Tuscany, Trequanda is in the southeast of Siena. Here you will see undulating terrain covered in vineyards, olive groves and wheat fields – unimaginable landscape you will never want to leave. We will be staying in a beautiful 16th -century renovated family-owned farmhouse with its history and winery which produces excellent Tuscan wines. The farm house is perched 1,300 feet above sea level and has a spectacular view. There, in the Tuscan countryside and historic architecture, we will be painting and sketching in watercolor as well as learning Chinese brush painting. You will also be enjoying authentic Tuscan cuisine prepared with care and excellent fresh ingredients, accompanied by local wine. After a day of painting, you can swim and relax in a swimming pool with breathtaking views. The farmhouse is also surrounded by walking trails and a tennis court. We will also tour the vineyards and winery with an expert vintner and then sit down to wine tasting with a delicious three–course lunch. Our week in Tuscany will include fantastic excursions to Florence, Siena, San Gimignano and Montalcino, all by private transportations. For more information and/or questions, please contact Yuki Hall at (937) 679-2464, yukihallfineart@gmail.com. A brochure and enrollment form are available on our website www.fairbornart.org. 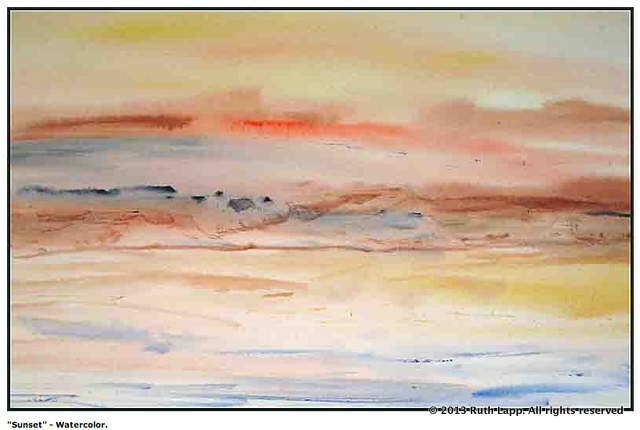 Libby Rudolf has a watercolor “Fishing for Supper” in the 2019 “Sister” show to “Works on Paper.” It is in the entry hallway along with about 20 pieces that the staff selected. Celebrating 10 Years, the 2019 Art At The Arnold competition will be held March 1 – March 3 which takes place at the Arnold Sports Festival in Columbus, OH. Art at the Arnold is three-days of drawing, painting, sculpting, and other creative artistic media. Artists use athletes and models as subjects with the Arnold Sports Festival as a backdrop. Friday, the first day, artists work with models. Saturday’s all day work session the artists work from subjects found among the many events and competitions at the festival. Judging, Awards ceremony and Art Show follow on Sunday. All events are located in the North Atrium of the Greater Columbus Convention Center in downtown Columbus. Space is limited to 50 juried artists who work in front of thousands of spectators. Co-chairs of Art at the Arnold are Pertain Gillespie and Kevin Buckland who say Art at the Arnold is fun and educational for both spectators and artists. Contact Buckland Gillespie Graphic Design to enter or for more information at art@bucklandgillespie.com or 614-543-0000. Registration deadline is January 10, 2019. 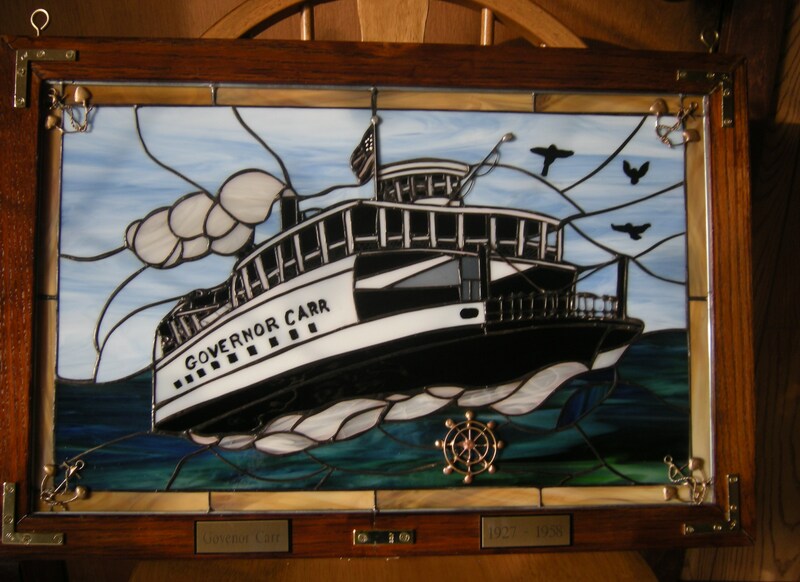 An entry form is available on our website www.fairbornart.org . The following people signed up to bring refreshments to our February meeting: Linda Brandenburg, Jean Lutz, Joan Witkins, Jada Keplinger, Ginni Roche, Evvie Moore, Carol Edsall, Samara Blankenship, Jim and Margaret Brooks, Sue Seitz, and Ed Vance. We usually have 50-60 members in attendance, so please plan accordingly. Our next meeting will be Tuesday, March 5, 2019, at 7:00 pm. The deadline for submitting articles to be included in the March Newsletter is Monday, February 18, 2019. Please email your articles to Albright10@msn.com or call Jackie Albright at 937-233-7532. It’s a busy month for all, so be sure to begin with our FAA Very Merry Happy Holiday Party on Tuesday, December 4. Festivities begin at 7 pm. Please bring a small wrapped gift (less than $10) if you want to play Naughty Santa, and everyone bring some kind of refreshment to share with our friends. The Holiday Bazaar sneak peek begins at 5:30, so come early to shop. The Bazaar opens to the public on Saturday and Sunday, December 8 and 9, so tell your friends and co-workers about the original art and craft work that will be available. No meeting in January, but we begin 2019 on February 5 with Ron Rollins speaking about Acrylic in Action. He paints large abstract acrylics that just dance around the painting. Meeting starts at 7 pm, Board Meeting starts at 6 pm. Hoping all of you have very peaceful and joyful holidays, be it Christmas, Hanukkah, Kwanzaa, or so many other celebrations at this time of year. Peace and prosperity to all in the New Year! FAA Holiday Arts & Craft Bazaar will be back this year! FAA members will have the opportunity to have their artwork and handicrafts displayed in the Gallery for sale on Dec. 8 (Sat.) from 10:00 am to 4:00 pm; and Dec. 9 (Sun.) from 12:00 pm to 4:00 pm; and optional Dec. 4 (Tue.) from 5:30 to 7:00 pm, right before FAA Christmas party. Items that can be sold at the Bazaar will include paintings, photography, woodwork items, jewelry, sculpture, ceramics, fiber art, etc. No commercially made items or art supplies will be allowed to be sold. If you wish to participate in the Bazaar, you will need to purchase a table space and/or wall space to display your art. You will be responsible to tend your own table and make sales. 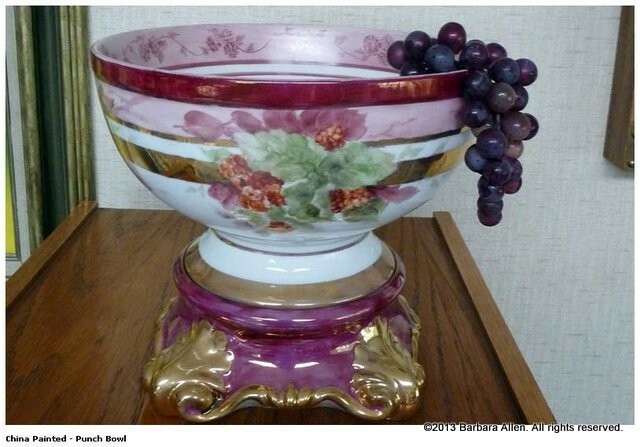 It is highly recommended that you be present at your table during the entire sale period. However, if it is not possible, you can arrange for an alternative person to take care of the sales or make a prior arrangement with other artists participating in the bazaar. Neither FAA nor the Bazaar organizers (Carol Edsall and Barb Olekas) will be responsible for your sales if no one is at your station. If you are only showing 2-D art on the wall and do not have a table, you are not required to be present in the Gallery. Instead, you can leave your phone number on the title cards of your paintings so that the potential buyer can contact you to arrange the sale. No inventory sheets are necessary. You set up your own station and you make your own sales! Pre-registration is necessary to participate in this Bazaar. Please refer to the Registration Form for more details about how to participate. Any questions about the Bazaar, please contact Carol Edsall at cekatja1116@gmail.com or call 937-474-9612 and leave a message and phone number. A registration form is available in the Gallery and is attached. Bazaar open to the public times are Sat., Dec. 8, from 10:00 to 4:00 pm and Sun., Dec. 9 from 12 noon to 4:00 pm. Anyone showing their work on a table must be present the entire time to cover their table. Any setup decoration, tablecloth to be supplied by participant, no electric permitted. (Any extra work, boxes should fit under table, out of aisles for safety.). Hanging wall space only work does not need you to be present, however requires a label, with your name, media, name of work, and price. 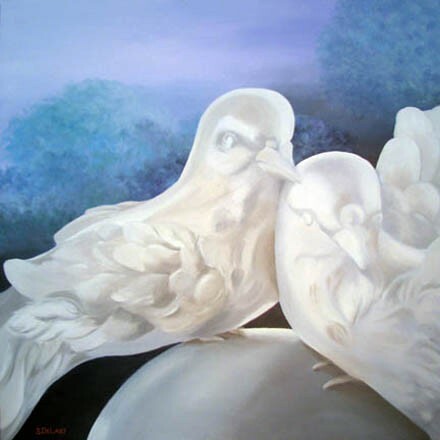 Diana Marra will be conducting two Asian Painting workshops in our Gallery during the month of December. Give JOY – Get JOY: Asian Painting BAMBOO Gift Set, Mon. Dec. 10, 2018, 10-3. Learn the special gradated and precise brushstrokes used to create BAMBOO paintings using the concept of Papa Mama Baby. 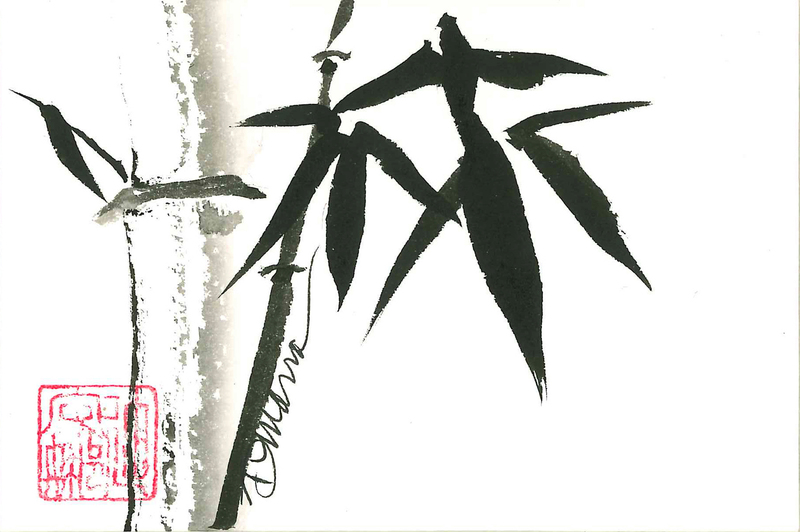 You will paint 5 paintings size 5” x 7” in traditional “Sumi-e style” with black Sumi ink on rice paper, then add watercolor, then paint 3 pearlescent versions on white, kraft, and black papers. Choose the one you want to give as a gift, and you will receive a mat and sleeve to make a nice, ready-to-frame presentation. And paint a coordinated bookmark, notecard, and gift tag to match, making one complete set for holiday giving. All materials included. Written and visual instructions also included so that you can continue learning this artform at home. Bring your lunch! And wear an apron or old clothes – black Sumi ink is permanent. Give JOY – Get JOY: Asian Painting ORCHID Gift Set, Tues. Dec. 11, 2018, 10-3. 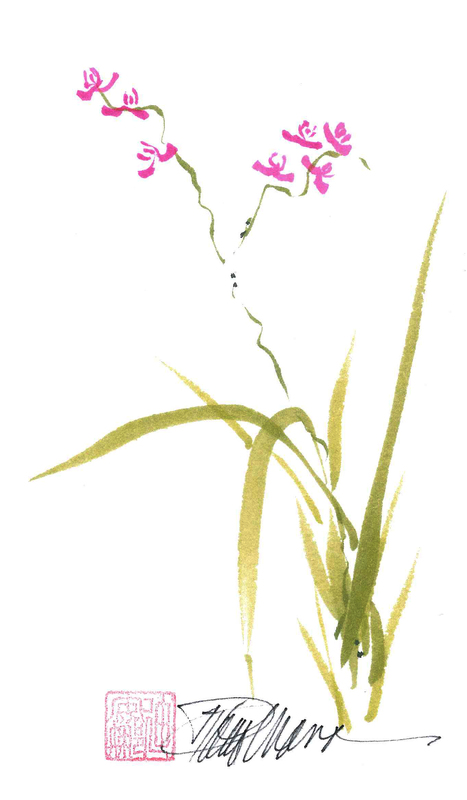 Tuesday we will follow similar procedure except that this day we will focus on the flowing undulating brushstrokes that make up the Orchid flower. Asian Painting is something I have practiced for the past 20 years and received my Teacher Certification training last year (one of 12 certified teachers in the US). I have studied Asian painting at the Art Academy in Cincinnati, with local artist Karl Feng, with Lian Zhen, with Cheng Khee Chee, and with Ning Yeh from Oriental Art Supply at his studio in Huntington Beach, in Chicago, and in China. 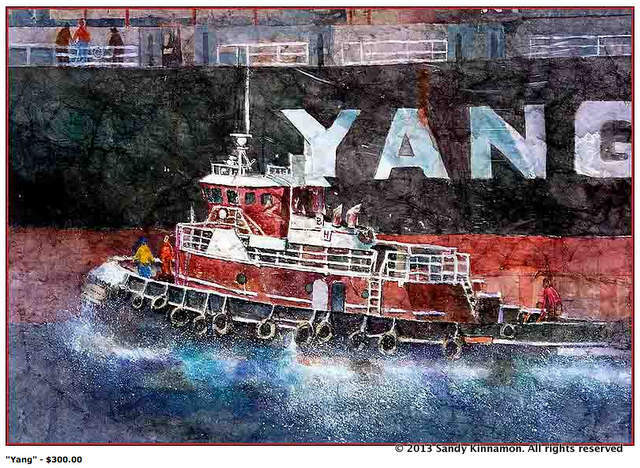 I have been juried in and exhibited nationally with the Sumi-e Society of America. This artform brings me peace and continues to teach me new ways to paint. 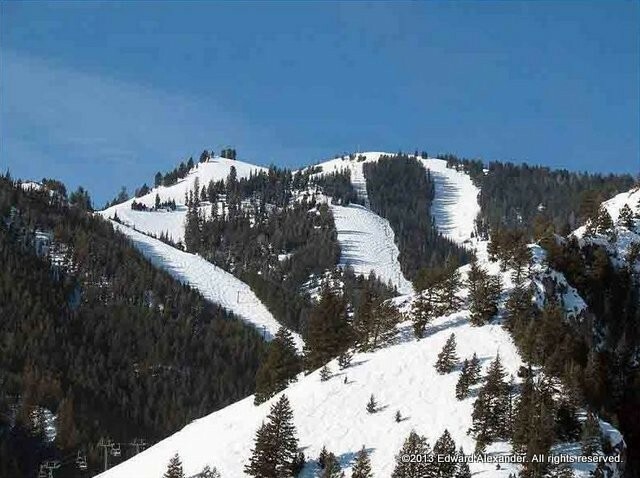 I would love to share this experience with you, just in time for the holidays. Diana Marra, 315 Rainbow Ridge, Cincinnati, OH 45215. Indicate which day (Or both). All materials included. Bring your lunch! A registration form is available in our Gallery and is attached. To register, please send a non refundable deposit of $40 along with the registration form to Pat Dunker, 30 Innisbrook Close, Xenia, Ohio 45385. Make checks payable to Fairborn Art Association. Final payment must be made by 4/29/19. For questions, call Pat Dunker at (937-562-3014) or cell (937-271-4798); or email pwdunk@gmail.com. Cancellations after 4/22/19 will forfeit entire payment. Celebrating 10 Years, the 2019 Art At The Arnold competition will be held March 1 – March 3 which takes place at the Arnold Sports Festival in Columbus, OH. Art at the Arnold is three-days of drawing, painting, sculpting, and other creative artistic media. Artists use athletes and models as subjects with the Arnold Sports Festival as a backdrop. Friday, the first day, artists work with models. Saturday’s all day work session the artists work from subjects found among the many events and competitions at the festival. Judging, Awards ceremony and Art Show follow on Sunday. All events are located in the North Atrium of the Greater Columbus Convention Center in downtown Columbus. Space is limited to 50 juried artists who work in front of thousands of spectators. Co-chairs of Art at the Arnold are Pertain Gillespie and Kevin Buckland who say Art at the Arnold is fun and educational for both spectators and artists. Contact Buckland Gillespie Graphic Design to enter or for more information at 614-543-0000 or art@bucklandgillespie.com. Registration deadline is January 10, 2019. An entry form is attached to this email. Our next meeting will be Tuesday, February 5, 2019, at 7:00 pm. The deadline for submitting articles to be included in the February 2019 Newsletter is Monday, January 21, 2019. Please email your articles to Albright10@msn.com or call Jackie Albright at 937-233-7532. This month marks my favorite holiday of the year – Thanksgiving. It is a day to celebrate being grateful for all the good things in your life, to share a meal with family and friends, and to enjoy the calm before the mad rush of the upcoming holidays. Carol Edsall and Barb Olekas have agreed to co-chair our annual Holiday Bazaar. The event will be on December 8 and 9 and they will be signing up people who want to sell their items this month. Please be sure to sign up early for a table. There will be a sneak preview at our Holiday Party/meeting on Tuesday, December 4, so plan to come early to shop before the public opening on the weekend. Our November speaker is Jacqueline Sullivan. Her subject is “A Dozen Ways to Start an Abstract.” It sounds like we are in for a very exciting demo. Mixed–media artist, Ms. Jacqueline Sullivan is the featured speaker for our meeting on Tuesday, November 6, 2018, at 7 pm. The public is invited to attend and watch as Jacqueline demonstrates her creative art techniques. Her mixed media, calligraphic and acrylic works have been shown in galleries and top juried art fairs nationwide. 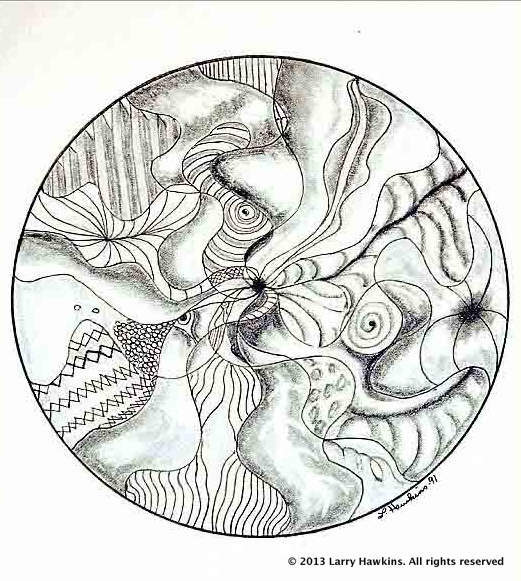 She pursues an element of adventure and discovery in her art seeking the truly unique results. 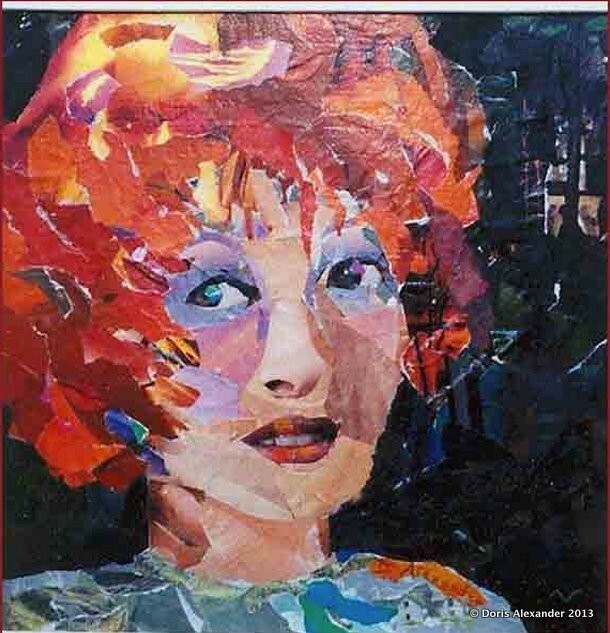 In her work, she experiments with all types of textures, paints and materials. In addition to her studio practice, Jacqueline has been a teaching artist for 30 years. She loves teaching and inspiring creativity in others. She has taught workshops and lectured for top art retreats and art centers as well as art and calligraphy guilds throughout the United States and Canada. She has also served as faculty for several International Calligraphy Conferences. Jacqueline was selected by The Golden Paint Company in 2013 to become certified as a GOLDEN Artist Educator. She attended a national training program hosted by GOLDEN in New Orleans. 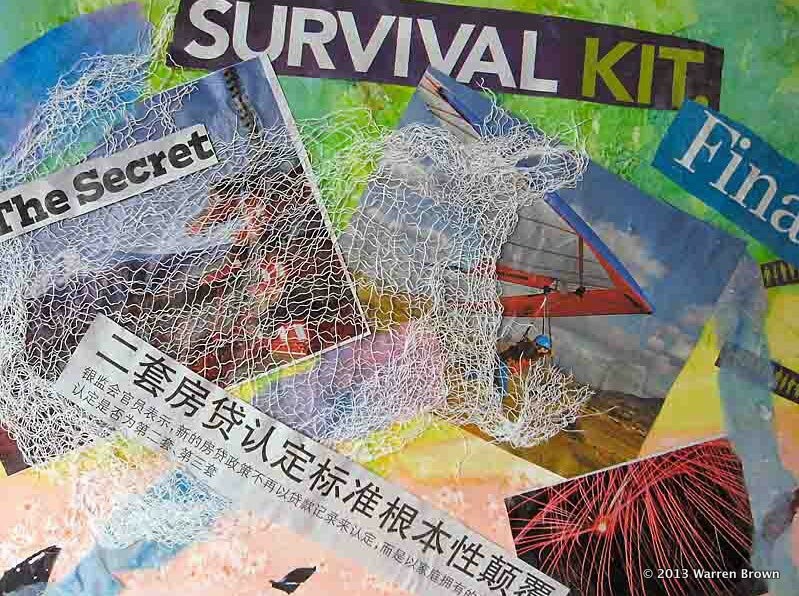 Jacqueline has published technique articles in Somerset Studio, Cloth Paper Scissors, Pages, and Astarte’s Mega-Zine. She has been profiled in many Calligraphic Journals and was honored as the cover artist in the Winter 2012 issue of “Alphabet,” the Journal for The Friends of Calligraphy in San Francisco. Jacqueline has a best-selling DVD – Acrylics: Textures, Layers, and Metallics – published by Creative Catalyst Productions and has self-produced a series of three video art workshops on her most-requested studio techniques. FAA Holiday Arts & Craft Bazaar will be back this year! FAA members will have the opportunity to have their artwork and handicrafts displayed in the Gallery for sale on Dec. 8 (Sat.) from 10:00 am to 4:00 pm; and Dec. 9 (Sun.) from 12:00 pm to 4:00 pm; and optional Dec. 4 (Tue.) from 5:30 to 7:00 pm, right before FAA Christmas party. Items that can be sold at the Bazaar will include paintings, photography, woodwork items, jewelry, sculpture, ceramics, fiber art, etc. No commercially made items or art supplies will be allowed to be sold. If you wish to participate in the Bazaar, you will need to purchase a table space and/or wall space to display your art. You will be responsible to tend your own table and make sales. It is highly recommended that you be present at your table during the entire sale period. However, if it is not possible, you can arrange for an alternative person to take care of the sales or make a prior arrangement with other artists participating in the bazaar. Neither FAA nor the Bazaar organizers (Carol Edsall and Barb Olekas) will be responsible for your sales if no one is at your station. If you are only showing 2-D art on the wall and do not have a table, you are not required to be present in the Gallery. Instead, you can leave your phone number on the title cards of your paintings so that the potential buyer can contact you to arrange the sale. No inventory sheets are necessary. You set up your own station and you make your own sales! Pre-registration is necessary to participate in this Bazaar. Please refer to the Registration Form for more details about how to participate. Any questions about the Bazaar, please contact Carol Edsall at cekatja1116@gmail.com or call 937-474-9612 and leave a message and phone number. Registration forms are available in the Gallery and are attached. Debbie Suter is our Sunshine Chair and recently sent get well cards to the following FAA members: Pat Dunker for hip surgery and Jim Gifford for back surgery. Please let us know when you receive news about any of our members. 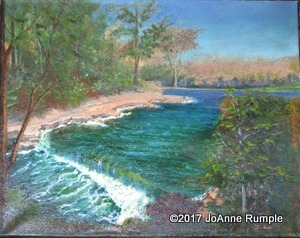 I wanted to share I have 2 pastels in the Ohio Pastel Artist League juried show Quest for the Best. The show is at Quest Conference Center, 8405 Pulsar Place, Columbus, OH (Near Polaris) and runs from October 1 – November 29, 2018. Hours of operation: 7 am to 5 pm, Monday-Friday. 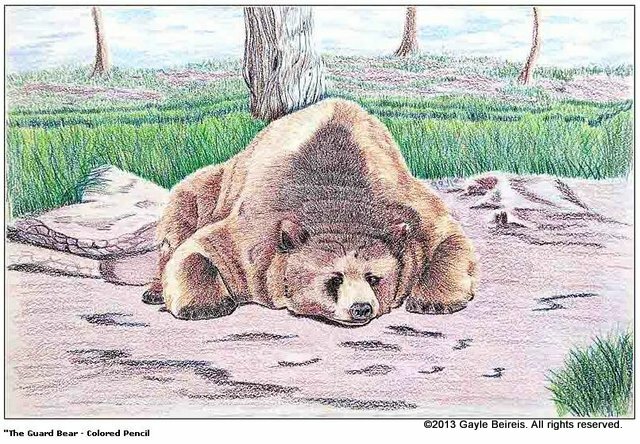 Linda Keller and Fran Watson have artwork on display in the Hallway Art Gallery from October 31, 2018 at the City of Kettering’s Lathrem Senior Center, 2900 Glengarry Drive, Kettering. Hours usually 8-5, Saturday 8-12 noon, and Sunday 12:30-4:30 pm. Phone 937-296-2480. 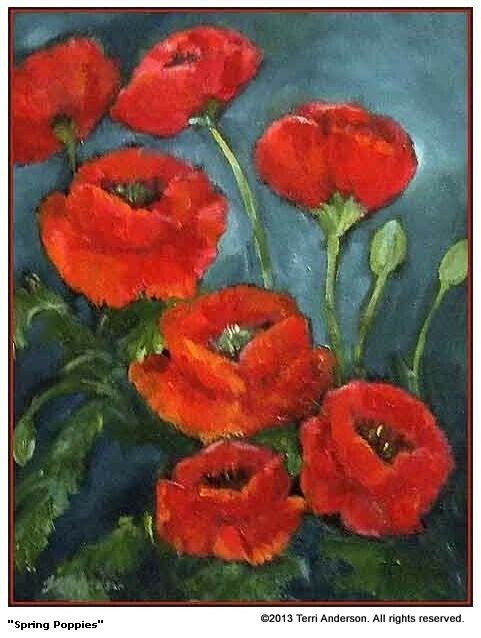 Heidi Kinnamon contacted me to tell me that the space that sponsored her mother Sandy Kinnamon’s last exhibit are looking for artists to hang there next year. If interested, please call Brett Weaver at 1-937-405-9206. She is a realtor in the Remax Office in Yellow Springs. They have space for maybe 25 paintings. The following people signed up to bring refreshments to our November meeting: Connie Gifford, Linda Keller, Connie Weber, Linda Lock, Clarice Moore, Shirlee Bauer, Ed Vance, and Ron Lockhart. We usually have 50-60 members in attendance, so please plan accordingly. Our next meeting will be Tuesday, December 4, 2018, at 7:00 pm. The deadline for submitting articles to be included in the December Newsletter is Monday, November 19, 2018. Please email your articles to Albright10@msn.com or call Jackie Albright at 937-233-7532.